Voice User Interface for FamilySearch!!! Explorer and share your family history by talking interactively to a computer. Requires an Amazon Alexa enabled device and the accompany application (called an Alexa Skill) found at https://www.amazon.com/dp/B01F6A6G7O. Start with, 'Alexa, tell family history for me. ', then drill back into your family history by saying, 'Father', 'Mother', 'Spouse', or 'Child'. Requires a FamilySearch account available free at FamilySearch.org. All data is retrieved from FamilySearch if something doesn't sound correct please correct the data at FamilySearch.org. Start by saying, 'Alexa, tell family history for me'. 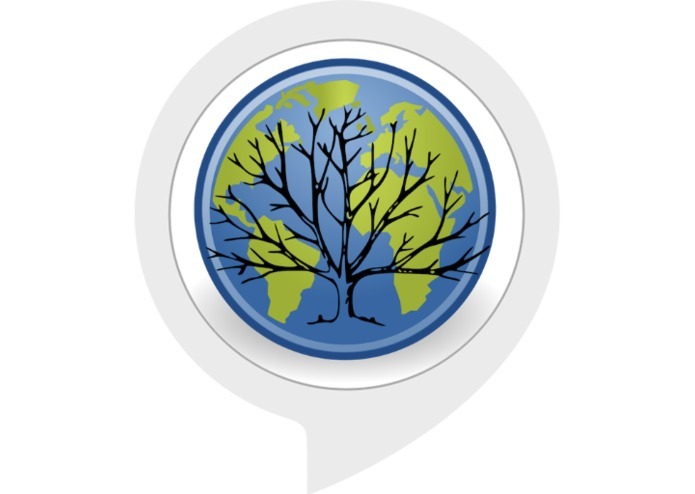 This app uses OAuth 2 to authenticate, however because FamilySearch does not support refresh tokens the user will have to use the Alexa phone app to relink the app every time they want to use it. Let me repeat that because it is important, the user will have to use the Alexa phone app to "Disable the skill" then "Enable" (and re-authenticate) after 10 minutes of idle time. I built this to learn about Voice User Interfaces, because they are awesome.